I have a confession. Not only am I a nail polish addict, I am also a glasses and sunglasses hoarder. I still remember the thrill of purchasing my first designer eyewear. The sales person ended up convincing me to try a very bold coloured glasses and I ended up getting two that day, my white frameless Dolce & Gabbana and my red Gianfranco Ferre half-frames. A year later, I started earning my own money and I knew I wanted to add a black Chanel frame into my collection. So I did at the same place where I purchased the previous two. Now, fast forward a couple years, I now have 8 glasses that I regularly wear. Over my life time, I think I've owed about 13 pairs! But the ones I don't wear that often are the cheap-o types or I actually lost them. Anyways this post isn't about my collection. It is about Firmoo! 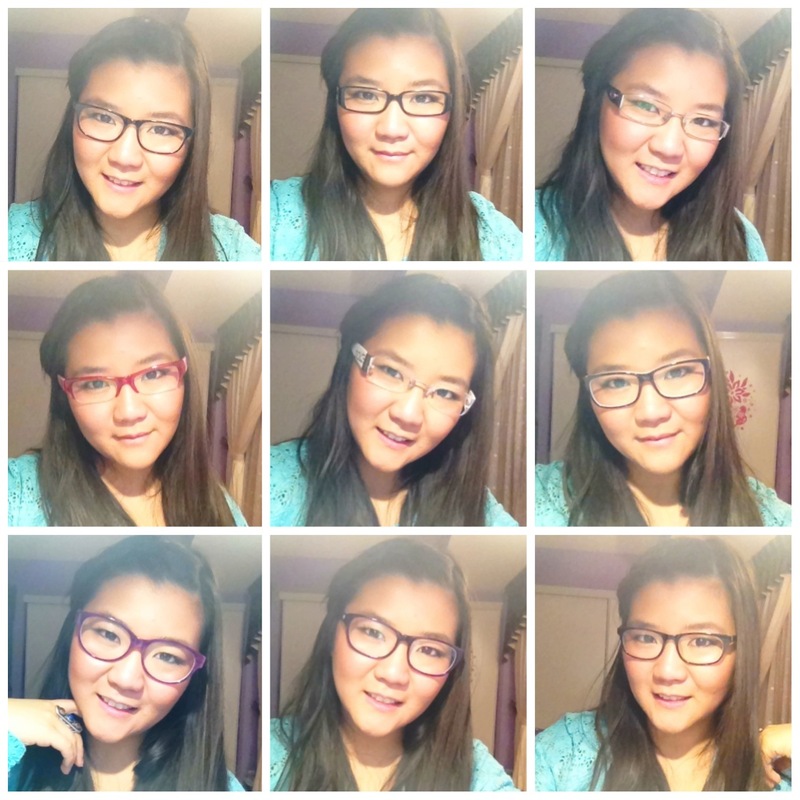 If you haven't heard of Firmoo before, it is a Global Online Optical Store. They sell glasses and sunglasses at a very affordable price. They have a virtual try-on program, which allows you upload your picture so it can give you an idea of how it fits on your face.The awesome people at Firmoo sent mea pair of glasses and sunglasses to check out. You can also get your first pair of glasses absolutely FREE. Keep reading to see how! Check out the glasses I picked out! Boo it's day two of my wisdom teeth recovery period. I can feel the pain in my extraction site. I feel bad not being at work because I took yesterday off too. Hopefully my workload is manageable when I go back. My diet so far consist of canned soups, ice-cream, and pain killers. I really want a big juicy steak right now! Anyways, April is Cancer Awareness Month in Canada. April 27 is Canadian Cancer Society's Daffodil day. A day where we think about the people living with cancer and who have died of cancer. Throughout the month of April, Canadian Cancer Society encourage Canadians to contribute in the fight against this terrible disease whether it's through donations or fundraisers. 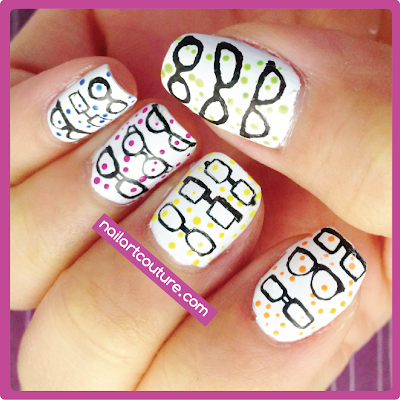 I want to raise awareness by doing what I do best, a cause inspired nail art! Daffodils are a symbol of hope and support for the Canadian Cancer Society. During April, many Canadians can be seen wearing a yellow daffodil pin. 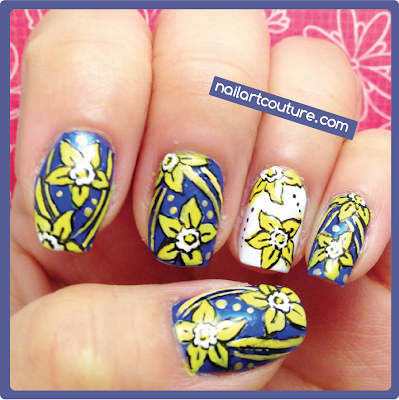 So in order of this society and the cause, I created a daffodil patterned nail art. This nail art uses almost the exact sam technique as my Vintage Nail Art. All you need is a magic black gel pen! CHECK OUT MY SALLY HANSEN GIVEAWAY FOR $90 PRIZE PACK (canada only). I'm sitting here writing this post just a couple hours after I had 3 wisdom teeth pulled. I'm so surprised how alert I am right now. I thought I would have one of those weird kind of "David after Dentist" aftermath, but nope. Anyways these nail were done last night. 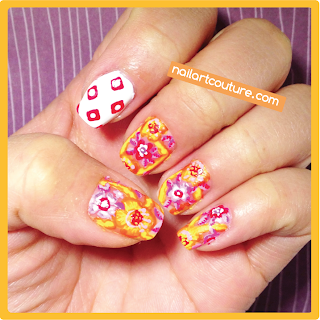 I wanted to do a vintage floral inspired nail art. Most vintage nail art designs that I've seen other people do use pale blue background with bright pink flowers with leaves. They also add in a striped accent nail to complete the look. 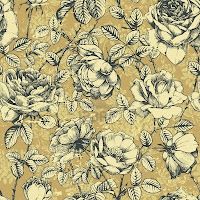 I felt that specific design has been done a million times already, so I googled for other vintage floral pattern. 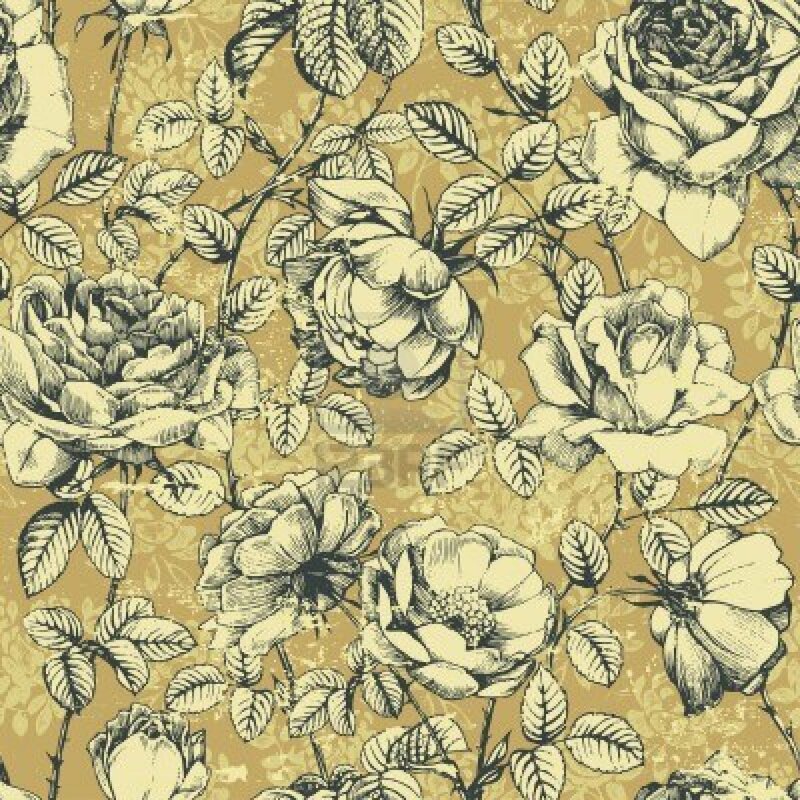 I stumbled upon this monochromatic wall paper design and decided that I really liked it. Unfortunately, I didn't have the yellowish green in my collection. I chose to use a muted blue to replicate the dullness of vintage design colors. It also gives the design a little more contrast than the wallpaper. Also in this design, instead of using black nail polish and nail art brush to create the outline, I used a black gel pen instead. I stumbled upon this technique when I was at work a while ago. It was during my downtime and I wanted to fixed a flower on my past design. So I just grabbed my black gel pen and I was surprised as to how well it glided on. 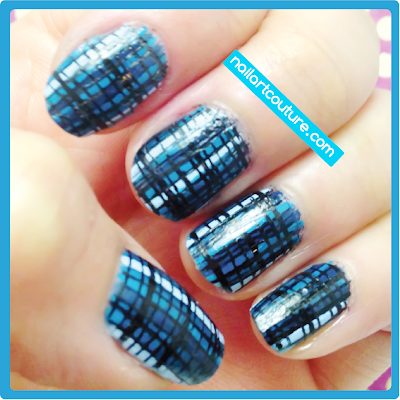 So here's a nifty little trick for people who want to add more intricacy into their nail art, use a black gel pen! Pens are much easier to control than fine nail art brushes. You won't need to worry about thick globs of polishes, so you should definitely give it a try! I nicked my thumb, so that's why you don't see my claw on display! Keep reading for the tutorial! If you don't know already, I love my Julep polishes. They are the only subscription service that delivers right at the beginning of the month. I got my Julep package on April 5th and I live in Toronto! 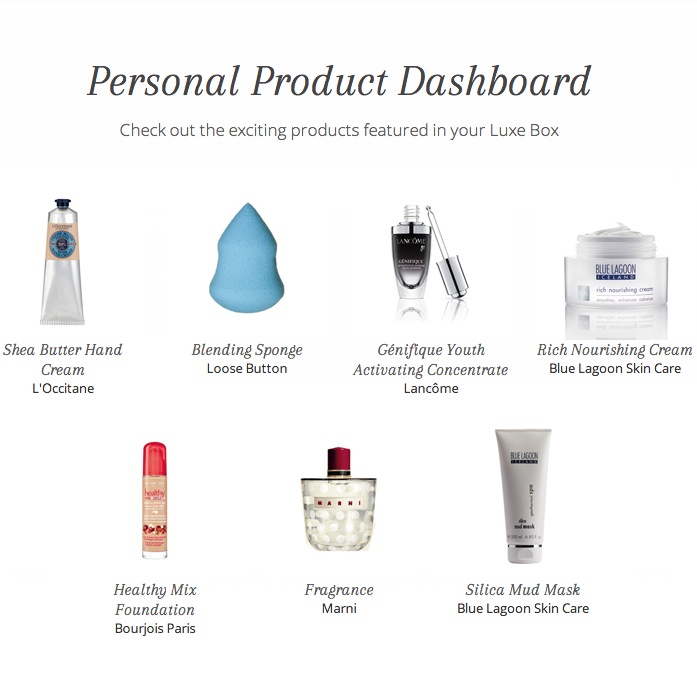 Not even Canadian beauty box subscription can meet that timeline sometimes. This month I accumulated enough points to redeem for the full neon collection. I knew immediately what design I wanted to do. Several months ago Kristen Stewart wore this see-through Erdem outfit to one of her event. It was kind of ugly, but I really like the neon accents. When I was looking for inspiration, I knew I had to check out Erdem's entire collection and sure enough I found something I liked! Below is an Erdem Spring 2013 inspired nail art. I have taken a huge liking to Erdem's designs, this is my third inspired nail art from this designer. It's nice to know that he's a Ryerson University Grad just like me! But I really do like his aesthetic. For materials and close up, check it out after the jump. My Steven and Chris Luxebox has finally arrived. 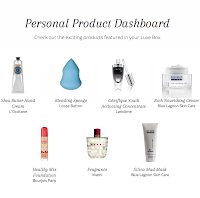 I got an early spoiler because I received an email to my "personal product dashboard", which replaces the description card. Instead we get a little pamphlet that includes all the products that were featured and to compare what we didn't get. I wish Loose Button made a greater effort to have the boxes delivered on time. We are suppose to receive these boxes every three months, so why must they wait until the end of March to deliver these boxes? That is one thing that really annoys me because we already have to wait three months for the box. Anyways as you can tell, Loose Button collaborated with Steven and Chris, who are Canadian talk show hosts. They talk about house decor, fashion, beauty products and so on. This season, the beauty product team at Steven and Chris "personally picked" the products that are customized just for us. In essence, it was an extremely hyped up box. Check out the samples that I received after the jump!